After a lot of thought, I have decided to conclude publishing new content to Diaspora California. Over the next few months, I will be moving these articles and interview Q&As over to Apsara, where I will be able to share them with an even wider audience of music fans. Diaspora California started out two years ago as a project in my free time to explore and promote the diversity of California’s musical landscape. I am grateful for the experience, through which I met amazing new friends and musicians like Ashwin Batish, Diana Rowan, and Ferenc Tobak. I thank you sincerely for your readership, and I hope that you will visit Apsara frequently, where great artists from California are featured with musicians from around the world. A tradition continues in Los Angeles. The Sorin-White Orchestra, a group performing during the La Monica's heyday. With a dance floor large enough for five thousand people, the La Monica Ballroom once glittered atop the Santa Monica Pier like a crown jewel. 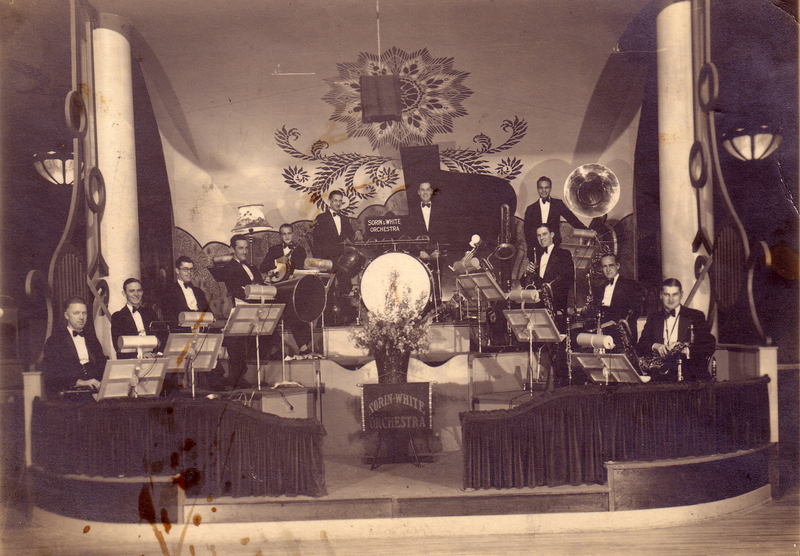 It nurtured the early swing music and dance scene of Los Angeles and although the ballroom itself no longer exists, its spirit lives on through the pier’s annual Twilight Dance Series. Thursday nights during the summer for nearly thirty years, the pier has turned into an open-air ballroom—complete even with a dance floor on certain occasions. This year’s series kicks off next Thursday, and so I picked the two evenings that I most wish I could attend to share with you. To save you the time that it took me searching on the internet for the meaning of “SaMo,” it is simply a short form of “Santa Monica.” I thought perhaps it was a cross between “salsa” and “mambo,” but the evening in any case does indeed feature Latin jazz and salsa music icon Oscar Hernández and the LA Salsa All Stars. The music and dancing begin with salsa lessons atop a special dance floor laid out for the occasion. The talented Austin-based band Grupo Fantasma will also rock the pier with its high-energy, complex blend of cumbia, salsa, funk, and other genres. “La Conozco” (“I Know Her”) is a song from their album La Existential, which just garnered the group its first Grammy earlier this year. 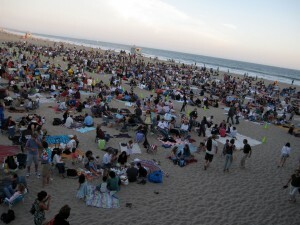 A crowd gathers near the pier for a Squirrel Nut Zippers performance in 2009. This evening is a true testament to Los Angeles’ still-thriving swing tradition and the overall evolution of the city’s music and dance scene into what is arguably the most vibrant and diverse on the West Coast. And this is again one of the special dance floor events. If you live in the Los Angeles area, there is absolutely no reason not to join the fun on Thursday nights this summer. Always free, the Twilight Dance Series continues the legacy of the La Monica Ballroom and offers an unparalleled opportunity to experience dancing, ocean, and stars on beautiful nights such as are found only in Southern California (or “SoCal”). Sorin-White Orchestra image by Carlos Lowry. Squirrel Nut Zippers concert image by Malingerer. California summer postcards: Samba in the middle of a redwood forest? Oh, yes—at the annual California Brazil Camp! It has been a busy yet utterly fulfilling spring with the launch of Apsara in April. I am just getting started with my summer writing projects, but undoubtedly June through September in California is a time to savor life a bit more. The unseasonably chilly and wet spring weather has finally departed the Bay Area and I am ready to embrace the summer. Over the coming weeks, Diaspora California will bring you its new series of California Summer Postcards, highlighting the art, dance, and music on our wish list of summer experiences. Our first postcard introduces a one-of-a-kind camp that transports the sounds and rhythms of Brazilian music and dance to California’s Russian River area. Every summer, hundreds of students and professional artists from throughout the United States converge at the annual California Brazil Camp (CBC) to study with master Brazilian instructors. The camp provides an intense experience from morning to night each day for a week for artists ready to immerse themselves fully in the arts of Brazil. Here is a glimpse of a 2009 drum ensemble session taught by Bahian percussionists Marcio Peeter and Wagner Abultre. Never mind the homemade quality of this video, it captures the energy of the class! Peeter and Abultre will return to CBC this year. There are many opportunities to perform onstage at CBC as well, such as this pandeiro duel between Carlinhos and Scott Kettner in 2007. CBC offers two sessions this summer: August 21–27 and August 28–September 3, with classes ranging from Orixas dance movement to bossa nova guitar. It promises to be an unforgettable arts immersion experience in an area of breathtaking redwoods! Diaspora California is proud to announce the arrival of our sister blog Apsara,which highlights innovative, genre- and tradition-crossing music from around the world through insightful interviews, articles, and reviews. Please join us for our inaugural article: an interview with Ian Widgery, one of the two music producers behind the now-legendary Pathé 100: The Original Shanghai Divas Collection: Redefined. If you enjoy what you read, we invite you to “follow” us on Twitter and “like” us on Facebook! 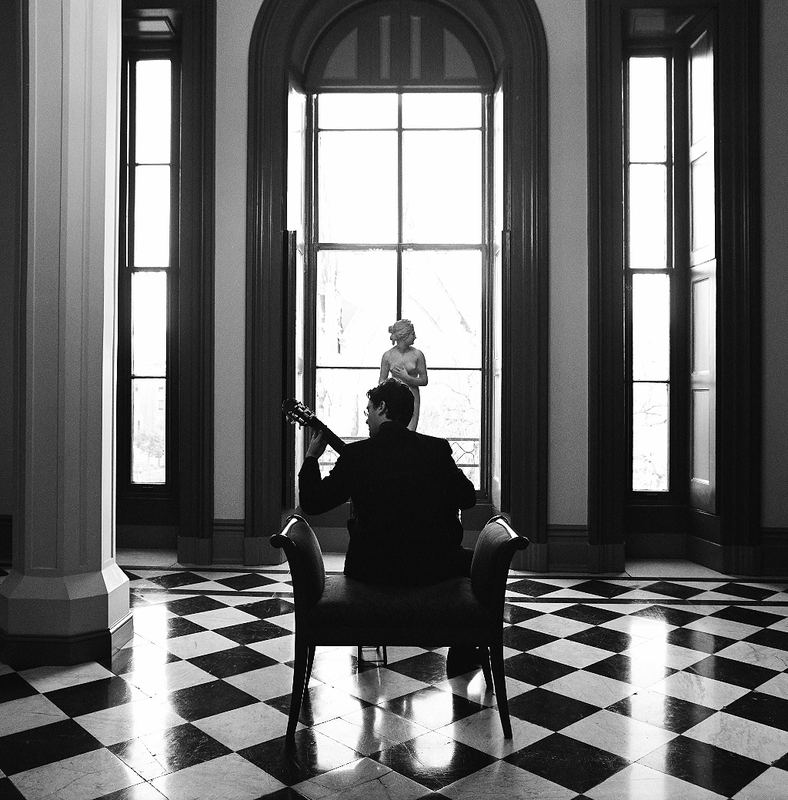 A sheer love of playing the guitar led Yuri Liberzon to become a professional musician. “It is directly connected with who I am,” he says. Originally from Novosibirsk, Russia’s third largest city, Liberzon received both his first guitar and his first computer at age six. Initially, he laughs, learning computers held more of an interest for him. He studied guitar while at the same time learning about computers on his own, inspired by his father, an electronics engineer, and attending a science- and technology-focused high school in Tel Aviv, Israel where he and his family moved when he was ten years old. Eventually, Liberzon switched to a different high school where he could spend most of his time in the music department. Although he maintains a strong interest in technology and is fearless when it comes to taking apart and working on computers, guitar eventually emerged as his primary passion. In Israel, Liberzon studied with guitarist Yaron Hasson, who he describes as “very spiritual” and the person who taught him about the transcendental aspect of music. 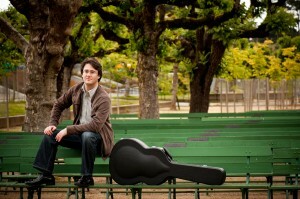 Liberzon eventually “fell in love” with the playing of renowned guitarist Manuel Barrueco and moved to the United States to study with him at the John Hopkins University’s Peabody Institute. He was then awarded a full scholarship to Yale University where he went on to earn a master’s degree in music. As Liberzon continues to settle into life in California, this talented young guitarist looks forward to connecting and performing with more orchestras, and to beginning to record favorite pieces from his vast repertoire. I think that we are very lucky to be in such a beautiful place, [and] to have such tolerance and such interest and depth of understanding . . . I find that people over here have this special connection with not just the arts but . . . [also] with India. 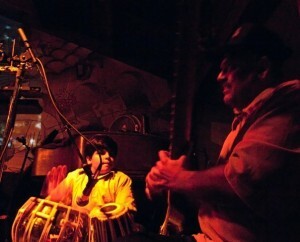 Keshav, on tabla, and Ashwin, on sitar, performing together. With the one-year anniversary of Diaspora California at the end of August, it surprises me less and less to discover the talented artists–many of whom have distinguished careers–who reside quietly in unassuming places in California. It did not take me off guard then to learn that the family of the late Pandit Shiv Dayal Batish, a prominent playback singer and film music director from India, has lived for nearly 40 years in the small, charmingly eclectic city of Santa Cruz. S.D. Batish’s son, Ashwin, who is devoted to carrying on his father’s musical legacy, invited me recently to his studio to speak with him and his 12 year-old son Keshav, a budding multi-instrumentalist, about music, family, and Santa Cruz. Since the death of S.D. 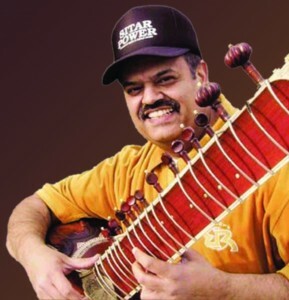 Batish in 2006, Ashwin has devoted himself to publishing his father’s compositions–approximately 3000 on the Hindustani music system and 2500 on the Carnatic system–with the goal of making them fully available online. S.D. 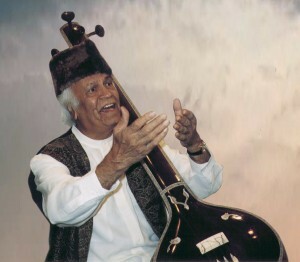 Batish composed many “Raga Lakshan Geet” introductory songs on North Indian ragas with both English and Sanskrit lyrics. Ashwin intends to publish these in an easily accessible text and audio format. Going all of the way back to the early days of Gopher, the Batish family has long utilized the internet for publishing information about Indian classical music. Ashwin faces a daunting task of getting all of his father’s material online and spoke of hoping to find people to collaborate with on this project. He believes that the compositions, which were composed specifically for native English speakers studying Hindustani and Carnatic classical music, will be an invaluable resource in the online format. The Batish family has found strong support in Santa Cruz from the very beginning and Ashwin finds the music community very collegial. The only downside to being a musician in Santa Cruz, Ashwin maintains, is the lack of places to perform. “I think that we are very lucky to be in such a beautiful place,” he said, “to have such tolerance and such interest and depth of understanding . . . I find that people over here have this special connection with not just the arts but . . . [also] with India.” Ashwin shows his appreciation for Santa Cruz, as well as the South Bay in general, by frequently holding fundraising concerts for local organizations, such as a recent benefit concert for the Santa Cruz Art League. For the future, in addition to working on publishing his father’s compositions, Ashwin will continue to give music lessons and perform locally. 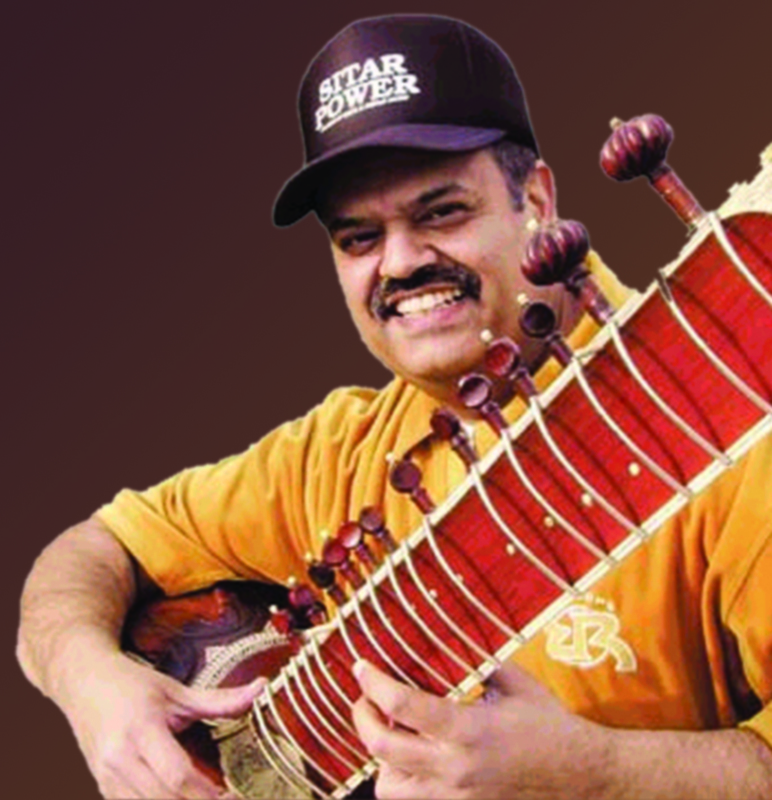 He is also working on a new album, Sitar Power 3, which will feature vocals by his sister Meena Batish. A tour with Keshav is also in the works. Ashwin maintains the website of the Batish Institute of Indian Music and Ragmala, an online video and radio site, which streams music and educational content featuring members of the Batish family and their friends. Image of Keshav and Ashwin by Vaughn Visnius. All other images courtesy Ashwin Batish. 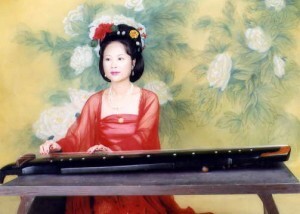 The guqin is an example of how a traditional art form can survive in a globalized environment. Sometimes globalization is a good thing, such as in the case of economics—in China especially the economy has grown very fast. But it can also be a very dangerous thing for an art form. . . . If something has been damaged or changed it will be hard to go back, so that is why I think maintaining the traditional way of the guqin is more important than expanding. The guqin has such a long history, so let us start at the beginning. When approximately were the earliest qins found in China? How popular is the qin in China today? The guqin is the oldest string instrument of China, with a documented history of about 3000 years. Other Chinese musical instruments that people probably have heard of, such as pipa, erhu, and yangqin, are very popular nowadays, but actually these instruments are not originally from China. They are from the Middle East. But the guqin is from China. It has been part of a tradition cultivated by Chinese scholars at least since the time of Confucius. It was very popular among the scholar class, but never a popular instrument with everyone. It was a skill required of scholars in ancient times. As a scholar, you were expected to be skilled in four arts, which were the quqin, the game of go, calligraphy, and painting. I think it is getting more popular now than it was before. Its popularity has grown rapidly since 2003 when UNESCO named it an Oral and Intangible Heritage of Humanity. But still when compared with other musical instruments, for example piano or violin, it is popular with a very small percentage people in China. My personal opinion is that it cannot be a popular instrument, but it will never disappear. How did you first become interested in the qin and what led you to start studying it? I have studied the guqin with the great master Professor Li Xiangting of the Central Conservatory of Music since I was a child and have played for over 25 years. Everyone thinks that the guqin should be my career. 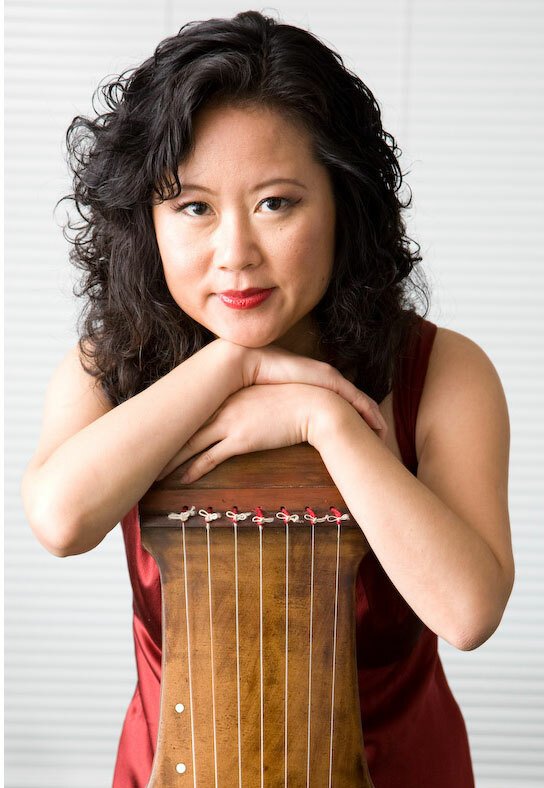 In fact, I have worked in the United States and China in many fields–as a journalist, radio host, columnist, cultural consultant, art director, and multimedia producer–and have been very successful, but the guqin has never been a career for me. Playing the guqin is a way of life. I never want to it to be my livelihood. Perhaps that is the beauty of distance–that I have always fresh feelings for the guqin. The guqin is not merely a musical skill, it embodies the entirety of Chinese culture and tradition. I pursued a major in Chinese Culture and Literature and later came to the United States pursue an MA in Multimedia. My studies helped me to deepen my understanding of guqin music and to promote it in a broader way. I grew up in quite a traditional Chinese family, so we were raised by my parents in a very traditional way. My parents are very educated. I was born in the midst of China’s Cultural Revolution and at that time everything related to old culture, thinking, behavior, and customs was forbidden. In the daytime, we praised the New China and the Communist Party and in the nighttime, which was my happiest time, we listened to the forbidden old stories that our parents secretly told us. I remember that every day our mom told us a different story. She was a musician and used to work in an opera house and so she always told old stories and legends. We grew up that way, so we knew a lot of legends and stories related to the guqin. One day, after the Cultural Revolution, I was visiting a museum when suddenly I heard an unusual type of background music–new but also very familiar. In that instant, my heart skipped a beat. I knew this was what I really wanted in life. Even now, I vividly remember that exciting moment. I told myself that I must learn to play it or I would die. As soon as I discovered guqin music, I started on a long journey to find an instrument. I visited all of the local music stores and sent letters of inquiry to many instrument factories. I drew pictures of guqin and pretend that I was playing on the paper. I even tried to make a guqin myself. Finally, a salesman located a guqin for me after seeing me visit many, many times. I was so excited but also very disappointed–the price was incredibly high. At that time, China was still very poor and most families did not have any savings. My parents said nothing, but they sold all of their jewelry and antiques which had been handed down for generations and bought me a guqin–they knew that indeed was my dream. So, when I got my first guqin I felt that I owned the world. After I got my instrument, I then needed to find a teacher. At that time it was not like now when you can find information on the internet. Everything relied on the radio. So, I used to always check the radio program schedule. My teacher Li Xiangting was often on radio programs about the guqin, so he was the number one person I had in mind when I was looking for a teacher. At that time I was very passionate and would get up very early. The guqin programs were always very early at 4:00 a.m. in the morning. I would have to get up early at 3:00 a.m. in order not to miss any guqin music. My father’s friend was in the Central Conservatory of Music and was a neighbor of my teacher. We asked him to ask my teacher whether he could find a student to teach my sister and I. We were afraid to ask him because he was a big fish and a very famous master of the guqin and we were only little girls. My father’s friend told my teacher the story of how we tried to make a guqin. Actually, my teacher had a very similar experience when he first wanted to learn to play the guqin in the 1950s. He told my father’s friend, “I do not need to find a student to teach them, I will teach them myself free of charge.” From there on, my life was changed. It opened a door for me to view the world. Before I did not know what the meaning of life was or what I was going to do—I just liked to play and run. My teacher is not only my teacher—he is my mentor. Not only did I learn the skills of guqin from him, I also learned a way of life. Please tell me a little bit about the activities of the North American Guqin Association (NAGA), including how you are using the internet to connect members. I established the North American Guqin Association in 1997 when I came here. Actually, before I came here I had the idea. When I got my visa, I thought, “How can I continue my guqin playing?” When I was in China, I never thought that I needed to have a musical career or to teach the guqin—there was no such responsibility on my shoulders. When I came to the United States, in the Bay Area there was no one who played the qin. It seems that I am still the only one who teaches and performs now. I thought that it was a very heavy responsibility on my shoulders because it is what I learned from my teacher. He himself inherited the skills from his teacher. When I came here to study multimedia, I thought, “The guqin is an old art form that needs a new technology to help promote it.” At that time the internet had just started so I put up my first Web site. I was just testing the new technology. After I published my Web site, in a very short time I got a response from England. A man named Julian Joseph wrote and said how difficult it was to find qin friends or a teacher. He had taught himself the qin for about one to two years. He said how exciting it was to find the Web site and how difficult it was to find people with the same interest. From there I found out that there are people similar to him in different parts of the world who cannot find qin friends. I found out that the internet is a very good way of connecting people globally who are interested in the qin. That is why I became serious about establishing a North American Guqin Association Web site to connect with different people. We were the first association to have a Web site—either in English or in Chinese–and we were the first guqin Web site. I was glad to see that people followed after I set this as a model. I think that it offers a lot of possibilities for getting to know people and the guqin. The concept of NAGA is adopted from what in history was called a “qin society.” Originally with this type of society people would meet regularly and play the qin and talk about culture. It was actually a meeting place and it would also offer classes. Usually the head of the organization was the master player and teacher. The master and students formed the organization and had events. Later on they would probably have their own repertoire and book, and then become a qin school. When I came here, I felt that since the Bay Area has a lot of stress I wanted to introduce this kind of traditional Chinese lifestyle to people. So I established NAGA, which offers classes and has gatherings and performances. In order to teach English-speaking students who do not have any other background in China besides an interest in the guqin, I come up with different courses. For example, I offer a poetry and guqin music class. Students not only learn the guqin, but at the same time they also learn some Chinese poetry. The guqin is a very good tool for learning about Chinese culture. NAGA organizes guqin gatherings and invites guest speakers from different fields, like kunqu opera, calligraphy, and taiqi. We also invite scholars—for example my teacher and other qin players from different states and countries—to come to collaborate. In 2002, we did the first online guqin concert in history. At that time there was no YouTube, but we already were using live streaming video. China was applying then for UNESCO’s Oral and Intangible Heritage of Humanity designation for the guqin, so I thought that it was a good way for people outside of China to know this art form. Now that we have moved into the Web 2.0 era, I think about how to use the internet to market the guqin and NAGA. For example, we have a Facebook group and are on Twitter. Recently, I did a multidisciplinary project called “From Beijing to San Francisco” and invited Li Xiangting to come here and collaborate with me for the Performing Diaspora Festival organized by San Francisco’s CounterPULSE. Even though I used different art forms and packaged guqin music in a new way, the content was still very authentic. I think that it is a very good way to reach a new audience. Before, the audience that I reached was comprised of people who have an interest in classical Chinese music or traditional Chinese culture. But now I want to expand my audience to people who are interested in dance or theater. The guqin is an example of how a traditional art form can survive in a globalized environment. Sometimes globalization is a good thing, such as in the case of economics—in China especially the economy has grown very fast. But it can also be a very dangerous thing for an art form. As a musician it may be possible to become more recognized in a globalized world. I could have more performances if, for example, I collaborated with jazz, pop, or Western musicians or frequently appeared in such settings as Chinese New Year galas, clubs, or bars, but these are not the right settings—people may misunderstand what the guqin is. I need to maintain the guqin as a traditional art form and to maintain what I learned from my teacher. It is difficult to maintain a tradition, but it is very easy to damage it. After you damage something it can be very difficult to go back to the way it was. For example, many of the old siheyuan courtyard houses and the city walls of Beijing have been torn down to make way for big buildings. We wanted to move into the big buildings because the siheyuan were too old, but if people want to go back and move into newly built siheyuan it will be different from before. So that is what I am talking about. If something has been damaged or changed it will be hard to go back, so that is why I think maintaining the traditional way of the guqin is more important than expanding. To learn more about NAGA’s activities and about the guqin visit them online at their website. Interview Details: January 31, 2010. Phone interview. Sarah Lin Bhatia. Music is a universal language—it goes beyond words. It is unambiguous in all ways. I can listen to Arabic music, for instance. I cannot speak Arabic, but I can feel the emotion that the music has in it. It bypasses words. Oftentimes, I think, it expresses things that we cannot even put into words—immediately and directly. That is one of the things that I have always loved about music—how honest it is. Do you come from a musical or artistic family or were you inspired by something to begin studying music? My mother plays piano and she played it since the time when I was born, so I would hear that around the house. When she was a child she was really into Irish dancing and even though I did not see her dance I knew she really appreciated it. Then, my dad was really into singing and acting. They both loved literature and poetry. And my grandmother was very into opera. There was always a sense of the arts being really essential. Actually, Irish culture—at least in the past—has always admired musicians and poets. My parents actually never questioned my desire to be a musician. As soon as I started playing piano myself when I was eight I really wanted to do music for the rest of my life. They never suggested anything otherwise even though they had not grown up with wealthy backgrounds. I did not realize at the time how lucky it was to have such support from my parents. In terms of the inspiration of what music really means to me, it is a very direct form of expression. Music is a universal language—it goes beyond words. It is unambiguous in all ways. I can listen to Arabic music, for instance. I cannot speak Arabic, but I can feel the emotion that the music has in it. It bypasses words. Oftentimes, I think, it expresses things that we cannot even put into words—immediately and directly. That is one of the things that I have always loved about music—how honest it is. When did you come to play the harp and how did you come to focus on playing it? I did start with classical piano and I thought that I would become a classical pianist, so that was the direction that I was going in. During my teenage years, I grew up in Cyprus and spent a lot of time in Iraq because my parents were living in Baghdad at the time. So, I heard a lot of Balkan, Greek, Eastern European, and Middle Eastern music and I loved it, absolutely loved it . . . But there was not really a way for me to play that kind of music on the piano. I moved to Berkeley when I was 18 to go to college with a great childhood friend of mine, Anna Kallis, who I met in Cyprus and who I am still very good friends with. She does all of my graphics—she is an artist . . . She still lives in Cyprus . . . We talk every day online and I try to go to Cyprus every year. She actually was crucial in my taking up the harp because she took me to a concert by Kitka, which is a Bulgarian women’s vocal ensemble. They were playing with Ensemble Alcatraz, which is a medieval ensemble, and they had a harpist. It was probably 16 or 17 years ago when I went to that concert and hearing Eastern European music with that kind of harp, a renaissance harp, absolutely mesmerized me. It changed my life. I could not believe the sound that I was hearing. 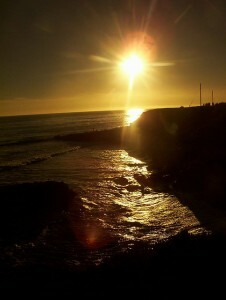 It was so absolutely gorgeous and could express all of the things that I had inside of me but could not say. Around that same time, one of my piano students, Breda—she is actually from Ireland as well—had bought a little harp. She said, “You know, I am not really using this harp . . . why don’t you borrow it?” I began playing on it and found it to be similar to the piano. They call the harp the “naked piano” because everything has been stripped off of it and you are playing directly on the strings. They are actually similar in the way that they are laid out. I realized that I would be able to play all of that music that I had heard during my teenage years. During those years you are so affected by music; a lot of it becomes imprinted on you. I started playing Balkan and Middle Eastern music on the harp and keeping piano up at the same time . . . Gradually the harp took over because I really love collaborating with world and early music artists and the harp just has a little bit more of a flexible sound. I love the piano, but it is much more modern sounding and much more dominating. The piano did influence me a great deal and there are crossover artists like Bartok. His piano music incorporates Eastern European melodies. Ernest Bloch had a lot of Hebrew musical influences. Philip Glass was influenced by Indian music. Even though with the piano there is a lot of crossover, the harp eventually did take over in terms of my performing. I do perform piano tango music and I teach both instruments. The first thing that one notices when listening to your harp music is the beautiful richness of its tones. When did you begin playing your Cithara Nova harp and what distinguishes it from other types of harps? Does its size of almost six feet pose any challenges in terms of caring for and transporting it? ”Cithara” is the original word for “harp”. . . and “nova” means, “new,” so you have the “ancient” and “new.” This particular kind of harp is a new creation, but it takes a lot of cues from historical and classical harps, which were very deep and dark and have a very bright treble. So, they are very much a solo instrument with a big sound, but they can really carry the melody of an accompaniment on their own as well. They have a lot of texture that comes out of them and a lot of different colors. This particular harp was created by John Westling, in collaboration with my old harp teacher Cheryl Ann Fulton, who is a historical harp specialist. It has a number of new features, like the strings are strung right through the bottom of the harp—through the part that rests on the floor—so that takes a lot of tension off the soundboard. It allows the soundboard to be much thinner and resonate like crazy. The type of strings that it uses is called “imitation gut;” they are made of fluorocarbon. The technique that I use to play it is massively influenced by my teacher Alice Giles of Australia. She has a super dynamic way of playing that gets a lot of expression out of the harp in terms of the color and the articulation. The combination of using the technique that she showed me and having the Cithara Nova gets that rich sound . . . The harp is about 5’4” or 5’5” tall. The hardest thing about transporting it is actually on the ground with cars because cars usually have difficulty with the length . . . Getting it into a car is tricky, but getting it on an airplane is actually very easy. I have a fiberglass case made by the Colorado Case Company and I just stick it in there. It goes into cargo and everything is fine. Actually, flying is easier than getting around the Bay Area. There are some harp technicians in the Bay Area. The Bay Area actually has the highest number of harps per capita in the world, so it is a good place to take up the harp. A lot of the harp technicians are actually working on pedal harps, which are the harps that you see in the orchestra. They are much more complex instruments mechanically; they have seven pedals that you use with your feet to change the string tension to make it go sharp or flat. They play in all keys . . . Those harps have a very complicated mechanism to make that happen. All that I do on my harp is to once in a while regulate the levers and I can do that myself with a screwdriver. What do you think accounts for the Bay Area’s having the highest number of harps per capita? Are there are other people playing the type of harp that you do or are a lot of classical harpists? There was a renaissance almost 40 years ago of the kind of harp that I play, which is more traditional. The pedal harp is doing pretty well because it can be in the orchestra and play jazz. There are a lot of harp makers who are based on the West Coast. My harp was made in Oregon and a lot of harps are made in Washington because of the wood. Diana Stork was a very big figure in the renaissance of this type of harp. She started the Multicultural Music Fellowship. 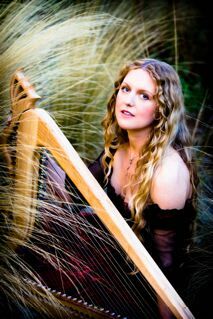 She is a harpist herself and she brought together the traditions of a lot of different kinds of music, such as the Celtic, Latin, Venezuelan, and Paraguayan harp. There are wire-strung harp players in this area who focus on the very ancient Irish style of music and storytelling, a sort of bardic style. It is mostly a combination of the harp makers and a few key figures like Diana Stork and Patrick Ball in terms of the wire-strung harp and storytelling. I think it is part of the culture here. People with strange instruments just end up here. 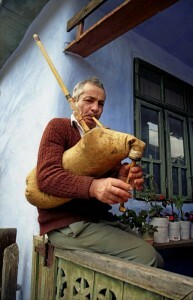 Your music interweaves the sounds of the Balkans, the Middle East, and other regions of the world. What is your vision for presenting such globally inspired music and what approach do you take when collaborating with artists from different musical traditions? I gravitate towards the sounds that really speak to me, that instinctively feel real . . . I keep coming back again and again to these types of music. It speaks to me the most and I do not know exactly why that is. With the Western classical music that I grew up with the harmonies are fabulous and there is a huge dynamic range of textures. When I hear Eastern European music with all of the scales, harmonies, and time signatures that are different from classical music, it is as if a whole other exciting world opens up to me . . . It is very, very exciting for me to discover these new possibilities to expand what I can express on the harp. Lately I have been learning Indian classical music with its fabulous sense of space and form. In terms of working with different musicians, the first thing that I try to do is to figure out what it is that we have in common and what is new. For whatever is new, I study and find out what it is. I try to figure out what inspires the other musician and what excites them about music so that together we can find an intersection and create something that is meaningful to both of us. Because we are not doing ethnomusicology we are not recreating a musical tradition. This is really important and I am glad that people do it, but we are not and have a lot of latitude so that is very exciting for me. Are you currently working with any local musicians or are you working with anyone on an international level? I have a number of projects that I am working on right now that I am excited about. These range from projects with people right here in the Bay Area to projects with Deepak Ram, who lives in Washington, D.C. and oud player Yuval Ron, who I am doing a concert in L.A. with in March. San Francisco’s East Bay area is known for the vibrancy and diversity of its arts community. How has living in the East Bay or the Bay Area in general influenced your own music—both in terms of the arts community and the geographical location? I really do not think that I could have done what I do anywhere else. It has just had such a massive influence on me. I think first of all that there is a very open attitude. People are not very territorial about their knowledge. They are experimental and they are willing to share with you. I think that attitude lets so many things happen. In combination with that, there are experts in so many genres here that the standard is really, really high and it pushes you to excel. There are people like Bon Singer, who started Kitka. She has had a big influence on me and is one of my major collaborators. Actually, she sang at the very concert that inspired me to play the harp. My piano teacher Roy Bogas is an incredible, phenomenal musician right here in Berkeley. I could just go on and on. We have an amazing pool of talent here and they are all sort of rebels who do not fit into one sort of genre or the other. They are very independent and they are very accessible. I think that we have a large population that supports a lot of different kinds of genres and artists. It is easy to hear great music and unusual music any night of the week . . .
Geographically, there are so many people passing through. I met Alice, my harp teacher, at a harpists’ conference that was held here. She came all the way from Australia . . . I would not have met her otherwise . . . I met Deepak and Yuval here too. I even get to meet my musical heroes . . . It is also easy to travel here with the airport, so I have lots of friends who will go abroad and study, for example, the kora in West Africa or the tango in Buenas Aires. Then they come back and bring all of that knowledge here. That really encourages you to grow. There is also the overall attitude of continuous learning that people have. I have a lot of music students who are adults—they inspire me. They come in the first time for instruction and believe that they should be good so they are constantly expanding. It is so exciting. I think that all of these things were set up a long time ago with the San Francisco Bay Area being a port. It is a crossroads—kind of like Istanbul—that brings together different cultures on the artistic stage . . . Even Silicon Valley, with its attitude of innovation and creation, in terms of speed and distance has influenced all of the arts. What would you most like people to know about your music and your artistic vision? It is my music, but I also feel like it is not my music. All of the people who came before me created things that set the stage. There are the people who created the harp for example—I did not invent it. There are all of the forms of expression that happened before me, the people who are around me right now, and the Muse—that kind of fourth dimension that comes through as inspiration. It kind of feels like it is my music, but it is not. It is kind of everybody’s creation. I think that kind of connection is what is real for me and is honest about music. Music is a massive intersection of reality . . . For me it is about honoring the past and then evolving further with what I have been given—which is a lot . . . What I hope is that my music brings inspiration to people, that it encourages people to heal and find their own voice and meaning in life . . . When I hear music that moves me that is what it does—it inspires me to be kinder or to see things in a more expansive way. 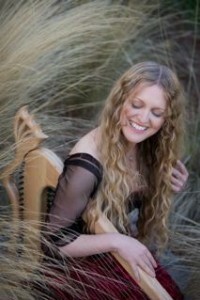 To hear samples of Diana’s music and to see her upcoming events, please visit her website. Interview Details: February 22, 2010. Phone interview: Sarah Lin Bhatia. The best way for these [musical] traditions to live on is to get the younger generation involved. Without the young people they are lost. Bagpipers Mircea Nicolea (cimpoi) and Ferenc Tobak (duda), 1982 September, Zabola, Transilvania, Roumania. You have had a rich musical career including work as a musician, an instrument maker, and an ethnomusicologist. You have even appeared in the theater and on television. Where did you begin your career and what has helped to shape it? Have you always had an interest in folk music? It started in 1967 when I was given a guitar for Christmas by my father and began taking lessons. At the time, it was very popular for kids like me to play songs by the Beatles, Chuck Berry, etc. It was what everyone was listening to and what all the radio stations were playing. Hungarian rock bands added their ethnic flavor with original songs and covers. As popular music became more prevalent in Hungarian cities, a counter culture developed where a lot of the city kids started reviving folk music. Hungarian folk music was a part of my childhood, as commonplace as spoken language, so my transition back to it was very natural. There was a small group of young people I was involved with who were embracing Hungarian culture, especially the folk arts. At the same time, I began working with friends in theatres and playing bass in underground bands, experimenting with something we called “free jazz.” On the weekends, I would play weddings with some of the old timers. I became interested in the bagpipe after a trip to Bulgaria and I recognized that bagpipes had all but died out a generation ago in Hungary. The music, however, had lived on. So, I got myself a Bulgarian gajda in Sofia and began experimenting with the tuning and reed making so I could play songs. I discovered the Hungarian bagpipe when I found a book that outlined the measurements of one, so I made some prototypes and learned to play from old recordings made by Béla Bartók, Bálint Sárosi, and Imre Olsvai. Then I went to a winter camp where I became friends with Sándor Csoóri, Jr. of the famous band Muzsikás. It was through my experiences there that I integrated into mainstream Hungarian piping as a musician and instrument maker. My pipes became quite popular and I continuously refined my design based on feedback from Csoóri as well as other master musicians. With their influence, my pipe design became the standard for modern Hungarian bagpipes. I played and toured with the revivalist band Vasmalom in the late eighties. We appeared in festivals—for example Peter Gabriel’s WOMAD in Cornwall, England—and released three albums. We were the first to independently produce and release an album in Hungary under the slowly softening communist government. I also worked with Márta Sebestyén on her solo album. It was a very exciting and fun era in my music career. I moved to the United States in 1991 with my family and we integrated ourselves into the California Hungarian scene by organizing camps, concerts, and dances. 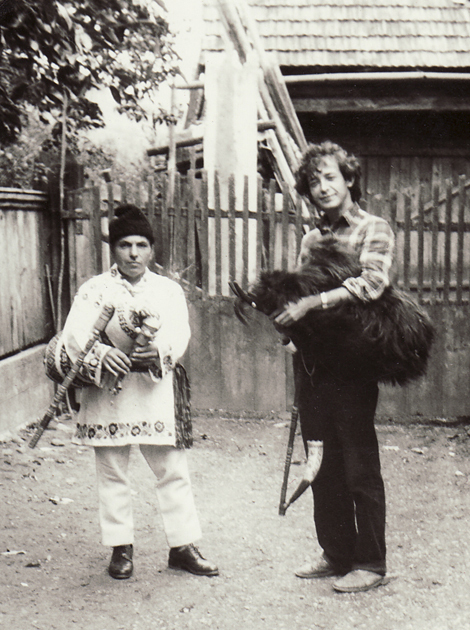 I began my ethnographical research in 1998 with annual trips to the villages of Moldavia to collect and document the living culture of the Csángó pipers. The focus of your research over the past decade has been on Hungarian Csángó bagpipers. What are the characteristics of this type of bagpipe and where primarily is it found? First, I think I should define the Csángós. They are an ethnically Hungarian people in Moldavia and number about 250,000. They do not have the chance to receive education or religious services in their native language; the [Nicolae] Caucescu regime really tried hard to convert them into Romanians. I first read about the Csángó bagpipes in the early eighties, and so in 1982 I went to Moldavia (on the eastern slope of the Carpathian Mountains in Romania). It was a very difficult time with the Caucescu regime in full power—very tough for Hungarians to get into the country. On my first trip, I was four miles from a piper’s house when the police found me and deported me back to Transylvania. That is just how it was. Over time I gained insight. What is interesting is that in all the Carpathian basin there is only one form of bagpipe in use, and its double-chanter design has been dated to 700 CE based on excavations of Avar graves. Other nationals like the Slovaks, Croatians, Serbians, and Transylvanian Romanians are all using the same type of bagpipe. 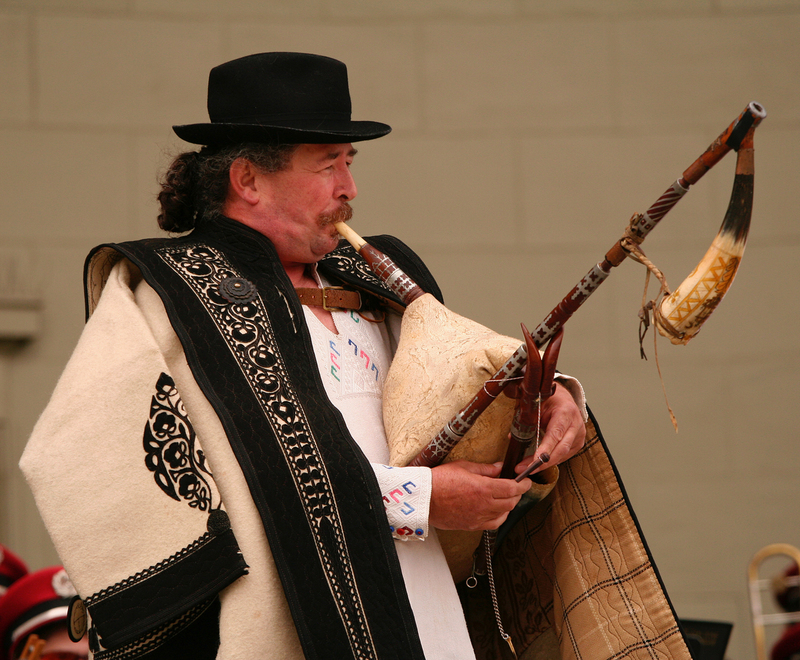 But what is fascinating is that in Moldavia there are three distinct types of bagpipes used by the Csángó Hungarians. One of these is an ancient form of the five finger-holed (plus one hole in the back), double-chanter Hungarian pipe which is found in three villages just south of Bákó. Then there exists an eight finger-holed pipe from the Balkans that is found from Albania through Greece, Bulgaria, and Romania. It is played in the most southern Csángó village of Vizánta. Lastly, there is a six finger-holed pipe used in Ploszkucén. It is the simplest of the three and is used by a very ethnically mixed population in the north to northeast of Moldavia. There are variations of it reaching to Estonia! Please tell me a bit about your experience studying, photographing, and making audio recordings of Csángó bagpipers. What have been your major findings? What do you think is the most effective way for a now-rare musical tradition such as this to continue? My research method allowed me to get very close to the Csángós. I would annually visit all of the musicians I found. This meant that the relationships that developed were lasting and trusted. I was able to document all aspects of their traditions with video and audio recordings, as well as with photography. I spent a lot of energy just on their holiday traditions. As a result, my research is very thorough and covers a lot of ground for the various regions in which the Csángós are living. As I mentioned earlier, in 1982 I tried to visit the last two pipers to no avail. One of them was Mesterke Gergely and I was able to visit him in 1998. He was believed to be the only Hungarian piper in Moldavia. In the following years, my greatest finding was that there were six more Csángó pipers still alive! Nobody had even considered that there were pipers in these numbers. The traditions were essentially on life support. Being an instrument maker was the key to continuing the research project. None of the pipers had instruments in usable condition, so I went to work building new instruments for them. 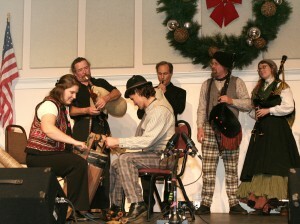 The pipers were delighted to receive their gifts, and even more so to be able to play again. I was able to trace certain families back four generations, effectively plotting the origins of their piping traditions as well as their repertoires. I have been able to document how they picked up the old Hungarian cultures from neighboring villages when they resettled in Moldavia—there are even recordings of old pipers telling stories of their encounters with witches and fairies! In terms of the future, the best way for these traditions to live on is to get the younger generation involved. Without the young people they are lost. A music school has been opened in Klézse, to which my organization Living the Tradition has donated twelve flutes. Local musicians are also getting involved; Legedi István, a famous musician, has begun teaching. Today there are a handful of spirited young people who are establishing after-school classes in which Csángó children can learn Hungarian and study local music and dances. I think it is a trend that is going to keep gaining momentum. There are already more than four thousand studies documenting all aspects of Csángó culture, and for a population of a quarter million that is a lot! The more people know, I think the more likely it is that the traditions will live on. My work covers aspects of Csángó culture that have long been neglected. I have hundreds of hours of audio and video recordings which I want to share with the public, but I am looking to collaborate with a partner or organization in order to take the project to the next level. You have participated in several music festivals in California, including the annual Drone Magic bagpipe festival. Do you participate in this festival every year? Is there a large community of bagpipers in California? Yes and yes! I perform in and organize the annual festival which is going into its eighth year this December at the Croatian American Cultural Center (CACC) in San Francisco. John Daly of the CACC has been a great help over the years to allow the festival to live on. I founded the festival because there was no place for pipers from all cultures to get together and talk shop, network, jam, etc. In addition to myself representing the Hungarians, we have had Irish, Bulgarian, Swedish, Italian, Spanish, Greek, and even Scottish pipers! There is actually a small but good ethnic piping community in California—if you look for it. In addition to our festival, there are a number of culture-specific events that feature bagpipes; most are held in the Bay Area or Los Angeles. In San Francisco, the CACC is a good starting point. In addition to your musical work, you have shown exhibits of photography from your research and you have samples of your photography online. Do you have any upcoming exhibits? In 2009, I showed my photography at an exhibition in Bel Air, CA that was organized by Balázs Bokor, the Consul General of Hungary in Los Angeles, as well as at the Woodside Priory’s new state of-the-art theater in Palo Alto. Currently, however, I am focused on preparing a show to coordinate with the release of my mother’s upcoming book. She has been pictorially documenting the experiences of her childhood and growing up in Hungary. We are very excited that her stories and artwork will be accessible to future generations. Right now my research initiatives are on hold while I work on this project. Are there any online resources that you would recommend for people who want to learn more about Hungarian folk music? Are there any regular festivals or events in California? Some of my favorite online resources include the Web sites of the Hungarian Institute of Musicology, Hungarian Heritage House in Budapest (with online databases), and Borókás Társulat (Hungarian-language only). The CACC Web site is a very good source for events in San Francisco, as is the Web site of the Ashkenaz Music and Dance Community Center in Berkeley, where they host occasional dances. Balázs Bokor is very active in the Hungarian community, organizing and posting information about events on the West Coast–not just those related to music but about other aspects of Hungarian culture as well. I have published information online at Tobak Studios and Barátság, and have some pipe music from my CD on Drone Magic. People can also send me an e-mail at tobak@mindspring.com and I will include them on my mailing list! Interview Details: January 20, 2010. E-mail interview by Ferenc Tobak and Sarah Lin Bhatia. Mircea Nicolea and Ferenc Tobak photo by Robert Csogor. Ferenc Tobak on duda by Kata Rabl. Andras Csobotar and Drone Magic photos by Ferenc Tobak. Guinea-Bissau was still a Portuguese colony when you were a young boy and you then experienced the country’s early decades of Independence. What was it like growing up and establishing your musical career during this formative period of history? Growing up in Bissau, I was a Boy Scout. We created a little group—there were five of us—to play when we went camping and things like that. Later on, we called the band Super Mama Djombo, the name of a deity . . . I was just the baby of the band . . . Later [as the band members grew more serious about performing] there was a need to move the band outside of the Boy Scouts . . . We brought in some lead guitars . . . and then we went to a big festival. (I am talking about during the colonial era, when the Portuguese were there.) I played percussion—the conga and I were the same height, so I had to step on a box . . . The first [festival] was in a square . . . When the band stepped out, we played our first song and it was all over. The public . . . went over the fence and the show was ove . . . The next week, they moved the festival to a stadium because the Portuguese realized that there were too many people for that square . . . That was when we chose the name Super Mama Djombo. The lead guitarist chose the name and we stuck with it. The name we previously had was a Portuguese name . . . I grew up in the band . . . for me it is a normal part of life. I started doing solo music when I was in high school . . . One time [when my school was having an event] . . . they said, “You can come and sing one song.” And then every time an event was happening, they came and asked me if I wanted to sing something. Then I started going to the radio . . . I was 20-21 years old . . . I never dared to go on television because I was kind of a little shy . . . [and] that was too much for me at that age . . . So, I used to just stay on the radio. There was one radio host who chased me around. He said, “I think you need to do a concert.” And I said “No . . . I am a drummer, I can’t do a show . . . Nobody will come.” [The radio host continued to persist.] One day he came to me, he was very serious and said, “You know what? You are going to do the concert. I will back you . . . People will come.” By that time, I already had a considerable number of songs on the radio. The radio host said, “People like you, they like your music . . .” He convinced me to do the show. I said, “If anything goes wrong it will be your responsibility . . .” It was a big job to hold the concert—I had to go to all of the radio stations and do all of the publicity work, like handing out flyers. For one month it was non-stop. I did everything. Was the musical climate affected by Independence? It was . . . because in the Portuguese era, repression was very, very high. You could not sing in Creole. You could sing, but when you sang in Creole you were seen as resisting the colonial occupation. I was very small . . . I was a kid. But back at that time we already had a band and we would play at clubs . . . My mother [initially] said, “Play at a club? No way.” [Also] they would not let me into the clubs because I was not old enough . . . My mother had to sign papers so I could go with my brother. Even though my mother knew everyone in the band, my brother still had to go with me. There was a club that we used to go to with the famous band Cobiana. When they would take a break we used to come out and play. They were the first Guinean band. They became very famous and popular. The lead singer was put in prison because he sang some revolutionary things during the Portuguese era. The second leader to take over the band went to jail too. After the revolution, everything changed. Everybody started singing in Creole. There were a lot of bands and cultural activities . . . Mama Djombo had always been around. After the revolution, we changed and brought some new people in. Mama Djombo was dissolved in 1986. [This was] after I left to go to study classical music in Lisbon . . . There is a doctor from Iceland who had worked in Bissau for eight years . . . and fell in love with Mama Djombo. [In 2007,] he convinced a lawyer to finance bringing Mama Djombo to Iceland to record and perform . . . They have now brought some youth into the band so it will survive. I do not know for how long, but maybe for many generations if it can manage to. Your music is very clear in its call for social and political accountability. When did you begin using your music to convey this message and who are you directing it at? There are a lot of things going on [in the world.] I see music as a drama. When I see something, I try to portray it . . . There are some things you put up with. There are some things that you let go. And there are things that you cannot let go. You sometimes have to dramatize them for people . . . Music is the way I paint things—it does not mean I am revolutionary. I am a musician, but I dramatize the situations that I see. Fans of your popular music may be surprised to discover that you studied classical music and opera in Portugal and that you composed for the Sahel Opera Project. What was the mission of this project and what was your experience being a part of the creative team? The mission of the Sahel Opera Project is very big. First of all, I view it as a way for Africa to begin seeing that there is another is another way of doing music. Opera is not new—you can find it in all cultures. When Monteverdi started . 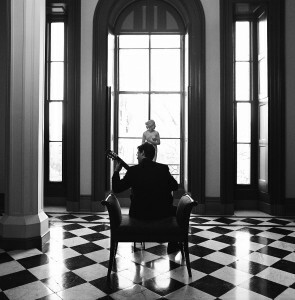 . . it was the music of the royal court. He took the music of the streets to the stage to do something experimental . . . I think that is what Africa is doing now [with the Sahel Opera Project.] We took the kora from the village and brought it to the stage with other instruments of Africa and created a drama . . . Opera is a musical drama . . . Maybe in some generations Africa will have an established form of opera that we can compare with Western opera. When I was writing the music of the opera, I went to the library and took out recordings of Chinese, Arab, and Indian opera . . . I listened to and dropped all of them . . . The only one close . . . [to what I was looking for] was traditional Chinese opera . . . Nobody had written an opera [like this] before. It was like I was hanging in a tree, trying to find my way out. I decided to do what Monteverdi did—to take music from the streets and village and put it on the stage with the drama on top of it, to see which direction it would go. So, I tried just to do it as a skeleton from the opening to the end of the opera . . . [After it was approved and financed,] we went to Mali and started work on it. The opera is bigger than any single one of us. This next [November 2009] tour will prove it. When we started the work in Mali, some of the singers asked, “How are we going to be singing?” I said, “You are going to sing exactly the way you sing . . .” In the beginning there were a lot of questions. In the end when we were finished, it was the performers who would bring the suggestions to us. We had just told them, “Listen . . . This is a dialogue. You are going to sing, but you are dialoging along with the music.” In the end it was less of a struggle . . . They own the traditional music—I do not own it. They own it and play it . . . 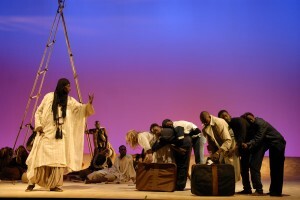 The opera was based on traditional West African music. We brought together 11 countries. It was an amazing, amazing experience and it is a beautiful story. [The musicians] come from small towns and villages. Some of them are in the Ensemble of Mali, a traditional folk orchestra. Most of them come from Mali, Senegal, Burkina Faso, and Guinea-Conakry. They all come from that part of [West Africa.] We picked the top—the best of the best. You have lived in California now for several decades. What was it initially like coming to California? Do you do much work locally as a musician or do you work more on an international level as you did with the Sahel Opera Project? I do work locally . . . I have three CDs released here in the United States. I do more of my concerts in Europe because in Paris I have a team. Every time I release my albums they tour me around Europe . 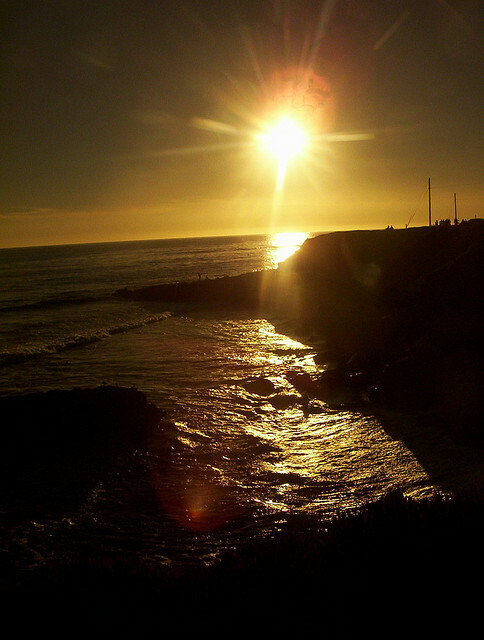 . . With [my first album in the United States,] Maron di Mar, I toured all over California . . .
After that, I went in a different direction. I started working more in Europe. Here it is kind of hard if you do not have people with good connections. And people try to label you as “local.” I do not like those things. I would like to do things here, but there is nothing at the present. I do things here and there, like on December 12th I have a concert in Ukiah at a theater for an organization called SPACE. They are a nonprofit organization that works with children. The concert is a fundraiser. Finally, what are some of the other projects that you are working on? My living room used to be full of [recording] machines. They used to stretch all the way down [towards the kitchen.] I did all of my projects here—recording and everything was done here. It was a full studio. I shipped everything to Africa. I shipped it there because I woke up day, looked at the machines and said, “You know what? These machines need to be helping somebody.” It is better if they are helping kids back home and helping to develop folk music. Traditional music is disappearing. The musicians in the villages and small cities play until they die and no one will ever hear about them or their beautiful music . . . I am going to be putting a studio together and start working with local musicians to give them a different hope. I am working to bring about a major festival in Guinea-Bissau . . . [Due to instability,] people have lost hope and many want to leave. That is not normal—that is one of the reasons why I shipped my studio there. I know two twins there—amazing. They draw and sell books of cartoons. [The cartoons] look as if they have been drawn by someone majoring in art. When I saw that, my heart was full. I could not believe it. I promised them that I was going to help them out, even if I can get them a computer and get somebody to help teach them . . . Every time I go to Bissau they come and see me. They do not say anything, but I just keep giving them hope. I hope one day that their dream will come true and their dream will be the dream of other kids. I hope that they inspire other kids to stay and not leave the country, to stay and make the country better, and to put on festivals. Every time I go there people ask, “So, what about your festival?” I still have hope and one day I will make it happen. I just talked to a friend of mine . . . and I said, “You know what? I want to create a world black arts festival, annually or every two years. Every year it would be in a different state.” It would feature black culture from all around the world . . . [such as] books, film, poetry, music, and dance . . . That is my dream—it is one of the things I want to do to bring about change, to help people start to connect. There is not only the bad part [that people tend to see]; there is the beautiful part. I believe art connects people and that everyone is an artist. Somehow every individual has an artist in them. My mission is to do my music and to try to project something positive. I cannot do it by myself. It takes a community . . . When you want to do something, speak it and people will come to you. I do not care who the people are . . . I care about what they have inside their hearts, what they want to do for other people. To learn more about Zé’s music, please visit his website. The Sahel Opera Project’s Web site describes the history and people involved with the Project, and it also provides sample video clips and images from the opera. Check out Super Mama Djombo’s MySpace page to hear samples of their music. Interview Details: October 17, 2009. Oakland, CA. Sarah Lin Bhatia. Sahel Opera Project photo by Marie Noelle – Robert. All other images courtesy Zé Manel.